Designing can be a difficult task when it comes to teenagers. Mostly, teenagers are very particular about everything from their dressing sense to their bedroom design. They desire for something different which suits their style. The room should be decorated in such a manner which makes the room look bigger and unique. You can keep one piece of furniture in the room which looks as its focal point. The bed is the focal point for most of the teen bedrooms. There are a number of beds available in the market with different decors such as bunk beds, wooden beds as well as metal beds. You can buy this furniture from your trusted furniture store. The Furniture store provides with high- quality furniture in different designs. Too many things in the room make it look quite messy. If you are designing room for a teenager boy, then the colours palettes should include blue, chocolate brown, mahogany etc. You can hang the sports equipment on the wall. Designer rugs and curtains complementing the bed sheets give the room a more elegant as well as sophisticated look. A boy’s room will look empty without a few posters. As we know, boys are very fond of posters. So designer posters can be placed on the wall. While decorating bedroom for a teenager girl color that should be kept in mind is pink. Purple, purple with cream, pink with white and even red colour are very popular these days. The room should be decorated in such a manner which gives them a princess or Barbie feeling. Too many frills make the room look gaudier. Pink colour curtains with white bed sheets makes their room look more beautiful and charming. A girl’s room is empty without a dressing table. You can place a decorative dressing table beside the bedroom which adds spice to the room. Night stands also looks good. There are a number of night stands available in the market with different décor themes. Night stands can be afforded by everyone. You can place the night stands on the back side of the bed which makes the room look more beautiful. Always buy designer accessories such as decorative rugs, throws, pillow covers, lamp shades which makes the room look more splendid and grand. Always buy the drawers with attached mirrors where the teenagers can keep their cosmetic items, undergarments and many other things. If the teenagers are good in drawing, you can frame their painting and place it on the wall. This will encourage them and helps in boosting their morale as well. 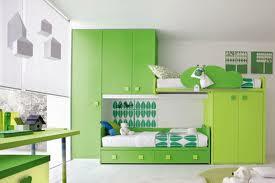 This will also give their room a very creative and sophisticated look. As we know teenagers love reading and writing. So keep a table beside the bed where they can keep their books and other stationary items. A lamp can also be placed beside the bed so they can easily switch off the light while sleeping. You can also keep a book shelf on the wall where they can easily keep all their books.